Boaz and Irit Albert defy IDF restraining order, protest "injustice" of "disconnecting a person from his wife, children and sustenance." 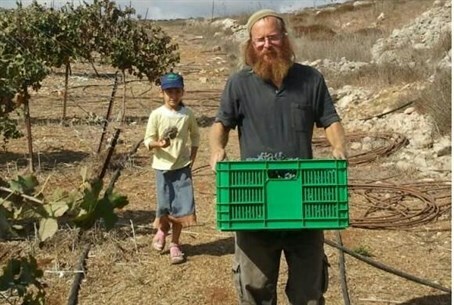 Boaz and Irit Albert, residents of Yitzhar, in Samaria, have reached a mutual decision to ignore an IDF order distancing Boaz from his home – even if Boaz has to go to jail. The Alberts make their living from a vineyard, where they produce high quality wine. Three weeks ago, Boaz received an order distancing him from all of Judea and Samaria. Irit told Arutz Sheva they have no idea why the order was issued. Albert says that they understand that there is no point fighting the order in legal channels. They are willing to pay the price for their decision, she said.